New spam prevention laws in Canada were the jumping-off point for a fast-paced conversation about marketing, engagement, and respecting your audience during the 2014 Engaging Associations Summit in late July. Greenfield Services Chief Strategist Doreen Ashton Wagner opened the session with some startling statistics. She said some associations reported losing up to 80% of their external prospect lists after Canada’s Anti-Spam Legislation (CASL) took effect July 1, for the simplest of reasons: lists age very quickly, and when the organizations asked their less frequent contacts’ permission to continue soliciting them by email, the contacts declined. Thanks to CASL, it was easy enough for the recipients to make a dent in their incoming email volume. All they had to do was not answer the flurry of requests they were receiving from multiple senders in the second half of June. As long as they did nothing, the senders were obliged to remove them from their lists. The question for Summit participants was whether the sudden loss of email volume was good news or bad. Panelists Rachel Stephan, Principal of sensov/ event marketing, and Mitchell Beer, President of Smarter Shift, agreed the user response to CASL was an important wake-up call. By relying more on inbound, “pull” marketing, rather than traditional outbound techniques, the panelists said associations can use proactive acquisition campaigns and online networks to develop deeper, more positive relationships with members, sponsors conference participants, and other stakeholders. Give back to the community, by fostering genuine conversations and online engagement. In an era when interactions are driven predominantly by online platforms, not by 20th century institutions, keynote speaker Jeff De Cagna said associations have to rethink their value in a way that may lead away from traditional membership models. We now trust robots—also known as algorithms—to guide some of our most intimate and consequential decisions. One in five people around the world owns a smart phone. The Kickstarter crowdfunding platform has launched 66,000 successful projects, with 6.6 million backers logging 16.5 million pledges worth more than $1.2 billion. Online networks have created a world in which “individual humans connected together can accomplish what once only centralized, large organizations could,” according to Silicon Valley business innovator Nilofer Merchant. Associations that operate in that traditional mode “are so overwrought about building membership that they’ve lost track of how to build a strong, sustainable infrastructure,” he told participants. In addition to delivering greater value to the communities they’ve already identified, associations can gain from a more connected, relevant approach by drawing in audiences and partners who would otherwise have stayed outside the membership wall. De Cagna said one of the greatest vulnerabilities of traditional associations is their failure to “consider the stakeholders who aren’t here,” whose challenges and expectations are fundamentally different from the groups that have already affiliated. Associations can strengthen their conferences and protect the revenue they generate by anticipating the “shatterpoints” that could eat into audience loyalty and send the event into a tailspin, consultant Jeff Hurt told participants at the 2014 Engaging Associations Summit. A 75 to 80% stickiness rate among sponsors. Hurt said a goal can be a lagging indicator, to the extent that strategies are built to address problems an association has already experienced. By contrast, a shatterpoint can be a leading indicator, pointing to future risks that the organization can mitigate or prevent. Less than 55% of direct expense devoted to the participant experience. Hurt stressed that conferences are just one part of a larger patchwork of association services and initiatives, and should be seen as part of a continuum of customer and audience touchpoints. The key audiences onsite fall into three categories—economic buyers, decision-makers, and influencers—and more than ever before, organizations can use smart data to define and target the groups they need to reach and bring together. Although shatterpoints can point to serious risks for associations that don’t pay attention to them, a Summit participant said the impact can be positive if they “blow things up” and draw attention to the potential for change. Do you work for an organization with a small team who has been tasked with the BIG job of putting on an event? Doreen Ashton Wagner & Meagan Rockett will be exhibiting at IncentiveWorks August 19 & 20th, and if you plan on being there, you should come by and say hello! We have worked with numerous organizations, large and small, in assisting with the aspects of the event that are important – but that you do not have time for. Then you should stop by Booth #1439, and chat with us. 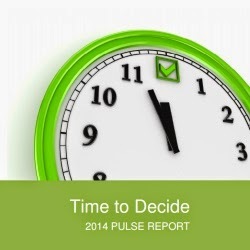 We will have on hand some tips & best practices as takeaways, and if you work for an association, copies of our recently released 2014 Pulse Report: A Time To Decide (on Membership Marketing & Engagement) will also be available.